What could be considered to be the main tenets of theologies of liberation? 1) The divine preferential option for the poor, the excluded, and the destitute of this world. The church has to become the church of the poor, sharing their sorrows, hopes and struggles. Initially the accent was mainly socioeconomic, but it was gradually widen to include other categories of social exclusion (indigenous communities, racial and ethnic minorities, women). 3) The retrieval of the subversive memories inscribed in the sacred scriptures, hidden below layers of cultic regulations and doctrinal orthodoxies, but never totally effaced. A specific hermeneutical and exegetical concentration in the Exodus story as a paradigm of the liberating character of God’s actions, in the prophetic denunciations of injustice and oppression, and in the confrontations of the historical Jesus against the Judean religious authorities and Roman political powers and his solidarity with the nobodies of Judea and Galilee. Each week we feature a free online resource to read. Some will be blog posts, some short articles, and some more academic papers. We will try to offer more than one when available, but know the best expressions of these theologies are often behind paywalls or in books alone. If you could describe Liberation Theology in a couple of sentences, what would you say? Why do you think the emphasis on God having a preference, on God have a special focus on particular people groups, is so critical to Liberation Theology? 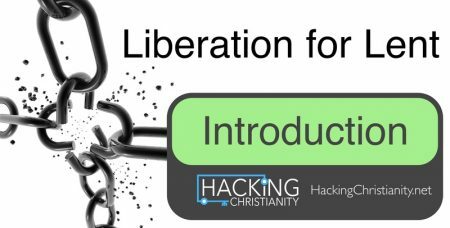 Why do you think there is so much resistance to Theologies of Liberation in popular Christianity? Sound off on those in the comments. Try to include the number so we know which you are responding to! We turn next to Liberation Theology as conceived by one of its founding sources in Latin America and a close look at Gustavo Gutierrez, one of the thought patriarchs of Liberation Theology (though each tradition has their own key voices, of course). It will be great to read primary material! 1. Liberation Theology is a reinterpretation of Christianity, using Marxist methods very much in vogue in Latin America since the 1960s, which through the “Radical option for the Poor” seeks to instigate those same Poor (the “People of God”, in LT lingo) to throw down their shackles and create a society which they claim is the one Jesus intended on the Gospels, which is functionally indistinguishable from a Marxist Utopia, save for the Christian language used to couch it in. 2. That focus and emphasis is exactly the result of the Marxist method being applied to the Church. Marxism is all about either recognising or setting up (depending on one’s point of view) of separate groups (“classes”) which then come into conflict, after which the “chosen” or “preferred” group defeats its enemies, who are responsible for keeping that same preferred group away from its rightful state of Utopia, and then achieving here on Earth, rather than in a Heaven we’re not sure even exists, the promises of the Gospel. (c) the understanding that the structuring of society, while important in order to allow individuals to better resist sin and seek the grace of God, is secondary to the individual struggle of the sinner against Sin and towards God.